Halogen bonds are specific embodiments of the sigma hole bonding paradigm. They represent directional interactions between the halogens chlorine, bromine, or iodine and an electron donor as binding partner. Using quantum chemical calculations at the MP2 level, we systematically explore how they can be used in molecular design to address the omnipresent carbonyls of the protein backbone. We characterize energetics and directionality and elucidate their spatial variability in sub-optimal geometries that are expected to occur in protein–ligand complexes featuring a multitude of concomitant interactions. By deriving simple rules, we aid medicinal chemists and chemical biologists in easily exploiting them for scaffold decoration and design. Our work shows that carbonyl–halogen bonds may be used to expand the patentable medicinal chemistry space, redefining halogens as key features. 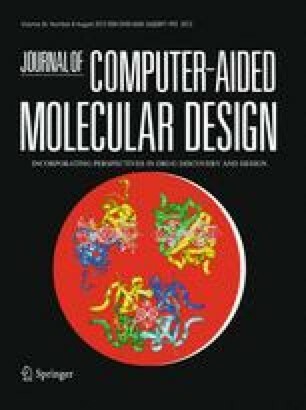 Furthermore, this data will be useful for implementing halogen bonds into pharmacophore models or scoring functions making the QM information available for automatic molecular recognition in virtual high throughput screening.